Jason Grimes was born and raised in Tucson, Arizona. During his childhood, Ronald and Elizabeth Grimes (Parents), would bring Jason camping and fishing in the White Mountains of Arizona. Every summer, his family would make an annual trip to enjoy the beautiful tall pines and stream fishing for trout. As Jason got older, he began inviting his friends to attend the annual trip and to share the same experiences he did while growing up. After graduating in 1998 from Sabino High School in Tucson, Arizona, Jason attended Pima Community College for two years. During that time, Jason began working full time at America Online and learned a great deal about computers and internet advertising. He began working from home as a full time affiliate marketer and focused on search engine optimization as his main source of income. In September of 2008, Jason Grimes decided to move from Tucson to Lakeside, Arizona because he always enjoyed the mountain lifestyle and had a passion for snowboarding. Jason rented a home for two years in Lakeside, Arizona until he finally decided that he wanted to call the White Mountains his home. 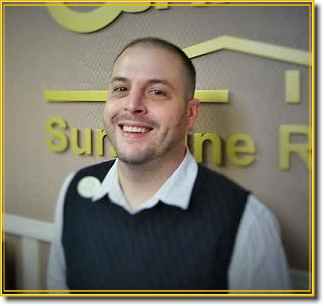 In July of 2010, Jason began working with a real estate agent from Century 21 to help him find a home. After looking at several properties here in Show Low Arizona, he found a home that fit his criteria and put an offer in on that home. While searching for homes, Jason’s real estate agent explained to him that he should get into real estate because of his vast knowledge and background in sales, communication, and professional attitude. In the early summer of 2011, Jason put himself through real estate school at Hogan in Tucson. The three week course was fun and served its educational purpose to help guide Jason in the right direction to accomplish getting his real estate license here in Arizona. Once completing the required 90 hours with Hogan School of Real Estate, he immediately took his state exam and passed with flying colors. He began working at the same Century 21 office his real estate agent did and has began making a name for himself in the White Mountains as a top real estate agent and dedication he gives to his clients. Interest In Buying Or Selling? Contact Jason Today! Contact me today about how I can help you meet your real estate goals.